Many of us forum regulars have noticed that the same old threads keep coming up, time and time again. Recently, I have become concerned that my responses to these regular themes are becoming shorter, sharper and less helpful. I am beginning to think that this is a bit unfair on those posters, who didnt see the 50 previous threads on this topic and study their responses in detail, instead they only see the current (unhelpful) responses like popcorn. So, I thought I'd preparing some standard responses to common WoWS General DIscussion forum threads that were, you know, helpful and positive. And then I thought: why just hoard such a resource just to myself? Hence, this thread - feel free to draw on these standard responses when the next threads are made, in addition to the popcorn. I will add/expand to them over time. Did I miss anything? What do the various ship classes/types do? What is the best line for new players? Yes, losing can be frustrating, particularly when you lose quite a few matches in a row, but the good news is that you don’t need your team to win in order to keep improving yourself. Players who critically reflect on what just happened (eg, I was too focused on shooting down range and didn’t change my course and speed, that’s why I just ate a bunch of torps), surprisingly rapidly improves your overall play. I, even still, get a feeling of “shouldn’t do this, but going to anyway” immediately prior to getting killed - it makes the critical reflection much easier. I strongly recommend you watch this youtube video on how to set up your game client to give you the information you need to engage in more advanced tactics and gameplay. Things like detection ranges on your minimap are simple but greatly assist understanding where enemies must be if you've just been detected. Once you've been playing a bit more and are ready for more advanced play - particularly if you start caring about your personal stats - I suggest you read @LittleWhiteMouse's guide to controlling your win rate. It is very important to adopt a positive/growth mentality early in this game. Dont be a victim to the whims of matchmaker. To give the reply no-one wants to hear, being put against enemies two tiers higher than you should force you to take a different strategy and approach to the ship than if you were two tiers higher than your enemies. WG says that this is working as intended. It is meant to add more variety in play to the same number of ships (for players who are interested in doing well, of course). For instance, when you are a Tier 5 Omaha with its sonar, torps and heaps of fast-firing guns and you see a V-170 camping in smoke you have a strong advantage; however, a Tier 7 battleship Lyon sees that same Omaha as food. Even though you're in the same Omaha, potentially on the same map, you have to play differently in order to be succesful - charging in might work when you're top tier, but will just get you killed when you're bottom tier. You need to adapt your playstyle - does the enemy have lots of gunboat DDs, or are they stealth torpers? Do I have a lot of squishy fire-starting cruisers on my team that are near caps so I can smoke for them? Do I camp in smoke and spam fires on enemy battleships 2 tiers higher than me, earning massive XP? This is a different style to if you were the bully, where you can just drive into caps and pwn people. Remember, as a bottom tier ship, noone really expects you to carry the team to a win (so no pressure) - though if I see someone do it, I compliment them after the battle (+karma). The skills you learn (the hard way) at Tier 5 are very helpful in higher tier play. Whilst I understand your frustration with being detonated, ultimately, warship detonations are historically accurate and did happen surprisingly often. The game probably, if anything, under represents the number of detonations that actually occured. In WoWS, the mechanic was recently changed so that a player can only be detonated if their HP was below 75 per cent. I think this is a reasonable compromise, given you can also hoist up a little coloured rag (in the form of a Juliette Charlie signal) to 100% prevent detonations ever. Remember, the developers' motto of 'balance trumps realism'; given the realistic mechanic of detonations is not unbalanced, it wont be removed. Btw, if you claim that you were detonated whilst using the flag, then you're wrong. No video evidence has ever been provided to show that the flag doesnt work. You may have been hit by a Devastating Strike instead of Detonations. The purpose of the karma system is to provide a small (psychological) reward for good play and a small penalty for poor play, in the hands of players to help promote good play. I am a big user of the Karma system. Generally, I give out far more positive karma than negative, and I'd wish the positive limit was 50 per cent more than the negative. Players who didnt do well on the scoreboard, but did their job really well - typically when they were massively outnumbered on the weak flank and held off the enemy for ages. I really like giving pos rep for this, but I dont notice it as often as I would like. Players who go out of their way to help me out - particularly when not asked but have read the flow of battle really well. Carriers who go spot enemy dds, or spectacularly nailed a major threat, or killed a bunch of attack planes who were about to nail me. 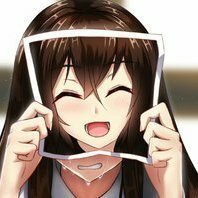 Players who, in chat, genuinely help someone with questions in the game. Top tier players on my team who are bottom of the team ladder and absolutely fail (as in, 300XP or less) for "plays poorly"; because, if not them, then who? This does not apply if they are detonated, as aint nobody got time for that. Players who are fairly abusive or toxic in chat, on either team. Deliberate (as opposed to accidental) teamkillers, on either team. Though I've found these are pretty rare. I find it is a system that works pretty well. At least, for me. I do understand the frustration of almost completing the task, only for the team to lose. But I would be careful for what I wished for. Firstly, removing the win condition will result in players - including on your team - suicidng early in an attempt to get enough torpedo hits (or whatever the condition was). This resulted in much frustration posted on these forums as players complained - loudly - that they kept losing cos their team was too busy yoloing and the event was encouraging it. A win condition means you can’t just yolo. Secondly, changing the conditions so that they were substantially easier would mean that far more players would be driving around in the reward ships (such as the Indianapolis, from the last event). Or, WG would instead increase the number of kills to make it a long, long grind. New Player - What do the various ship classes/types do? Aircraft carriers (CVs): A completely different style of play, and takes quite a bit of practice. Dominance of the air means that you can spot enemy ships, use rocket planes to hit faster, agile and light armoured ships like destroyers, dive bombers or torpedo bombers to attack enemy capital ships, and use your fighter consumables to protect friendly ships from enemy carrier attacks. All of this can be hard to remember. However, I have written a Ship Role Quick Reference Guide that helpfully distinguishes the role and - as a bonus - outlines how you should counter-play an enemy in that ship type if you run into one. I suggest you bookmark it for future reference. New Player - What is the best line for new players? Aircraft carriers: Personally, I suggest avoiding them entirely for now - they are very different to play and hard to do well at. They are currently undergoing a major re-work (moving from a 2D RTS style control interface into controlling only one squadron at a time in the 3D environment view you know from playing other ships). Until the re-work settles down, and community contributors can make specialised content to help new players approach carrier play, I suggest learning the other ships first. There will be plenty of time to come back to carriers later. (For New players looking to become Intermediate) my Ship Role Quick Reference Guide to understand how to get the best out of your ship every battle and how to deal with enemy ships of the same type. Looks good so far I look forward to the more controversial ones you haven't done yet. You may want to change some words too. Not sure how sensitive the mods are and I know it wasn't directed toward anyone, but still you have a nice post maybe make it a bit cleaner. To give the reply no-one wants to hear, being put against enemies two tiers higher than you should force you to take a different strategy and approach to the ship than if you were two tiers higher than your enemies*. WG says that this is working as intended. It is meant to add more variety in play to the same number of ships (for players who are interested in doing well, of course). For instance, when you a Tier 4 V-170 camping in smoke, seeing an Omaha charge you with its sonar, torps and heaps of fast-firing guns is very troubbling; however, a Tier 7 battleship Lyon sees that same Omaha as food. Even though you're in the same Omaha, potentially on the same map, you have to play differently in order to be succesful - charging in might work when you're top tier, but will just get you killed when you're bottom tier. 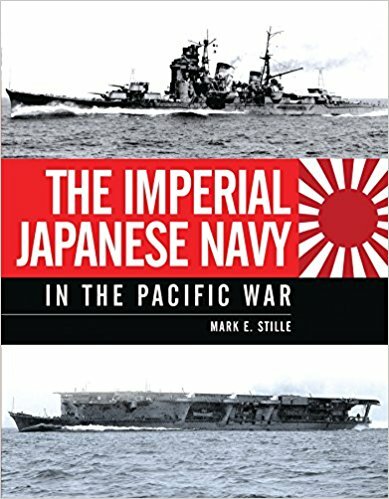 Read this book and might give some insight on why some of the IJN CVs in game are superior to the USN versions often times. Until you get to certain tier VIII and and above USN CVs then USN holds its own and even gets better. IJN started out with the best CV force in the world and had Excellent pilot training, USN only had adequate or good pilot training for a while, but could train more pilots and over time build more CVs so the numbers finally won out. Actually, a first draft did include detonations and CVs, but really I dont think detonations are mentioned anywhere nearly as often anymore. Still, I might do a sentence or two eventually.